It’s Race Week! Time flies when you’re having fun! You will experience a lot of adrenaline and feed off the energy of others at the race but continue to listen to your body and know that you’ve done the work to get you to the finish line. If you haven’t registered yet, hurry so you can get a Finisher’s Tshirt. Remember Kids 17 and under race the 5K for free and use code “COLUMBIAN” to get 10% off. If you don’t feel quite ready yet, volunteer for the weekend and be inspired by all the people doing the race with various fitness levels, age, body shapes and sizes. It is so motivating! Email volunteer@whyracingevents.com if you want to help out! We have 2 weeks left to get you to the finish line. Remember that half the battle is your mindset. So get your mind straight and believe that you can get to the finish line and I’ll see you at the finish line to place your medal around your neck! Are you feeling stronger? The program probably doesn’t feel easier because as you’re getting more fit, I’m making the program harder as you progress. We are three weeks in and ready to advance the program to get you to the finish line of the APPLETREE Sunset 5K or Half Marathon. Remember to listen to your body and progress more slowly if needed! Remember to get signed up as soon as possible so then you’re committed! The Inaugural APPLETREE Marathon, Half Marathon and Sunset 5K on Saturday and Sunday September 15th & 16th is going to be epic. 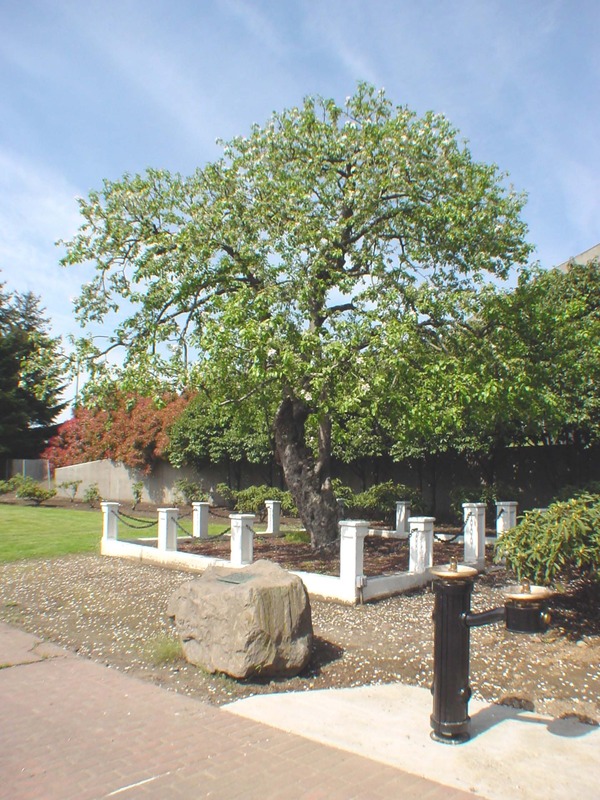 The start/finish line will be on Officer’s Row in front of the historical Grant House with a “Run through History” theme and runners and walkers will travel through the Fort, past the Pearson Museum and Airport, past the oldest Apple Tree on the Pacific Coast, along the water front and through downtown past the Columbian newspaper which is one of the oldest locally, family-owned newspapers in the country operating since 1890. Since Kids 17 and under can register for the 5K for FREE and with a distance for everyone in the family, we want to provide training guidelines and a program to make sure everyone is ready for race day! People from all over the country will be using the APPLETREE Marathon to quality for the Boston Marathon and we want to come together as a community and be part of this historical event and highlight how amazing Vancouver is! Not everyone can do a Marathon, but we can all do a 5K! We are two weeks in and ready to progress towards the finish line of the APPLETREE Sunset 5K/10K or Half Marathon. Remember, for those new to running, if you need to progress more slowly, that’s okay. You know your body better than anyone so if you need to adjust the programming to fit how your body is feeling, be sure to listen to your body. Hopefully, you’ve survived week one of the APPLETREE Training program and are now ready to progress. For those new to running, fifteen seconds of running at a time isn’t too bad, but as we increase this week, if you need to back off a bit that’s ok too. You could make the increase for as long as you can and then drop back to 15 seconds of running and 45 seconds of walking for the remainder of the 30 minutes. That’s true for the additional two programs – remember that you all know your body better than anyone so if you need to adjust the programming to fit how your body is feeling, be sure to do that. Vancouver is hosting the Inaugural APPLETREE Marathon, Half Marathon and Sunset 5K/10K on Saturday and Sunday September 15th & 16th with a “Run through History” theme and the Columbian newspaper is the Media sponsor for this event. The start/finish line will be on Officer’s Row in front of the historical Grant House and will travel through the Fort, past the Pearson Museum and Airport, past the oldest Apple Tree on the Pacific Coast, along the water front and through downtown past the Columbian newspaper which is one of the oldest locally, family-owned newspapers in the country operating since 1890. Since Kids 17 and under can register for the 5K for FREE and with a distance for everyone in the family, we want to provide training guidelines and a program to make sure everyone is ready for race day! 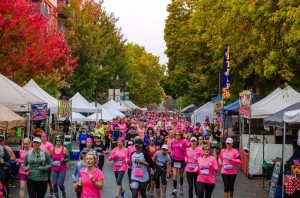 Last week, we reviewed a progressive Learn to Run Program to help get you ready for the local Boston-qualifying APPLETREE Marathon, Half Marathon and Sunset 5K on Sept 15th & 16th that will have thousands of runners and walkers participating from around the Northwest and across the country. We are so fortunate in Clark County that we have many opportunities to run or walk on trails away from traffic including the Salmon Creek Trail, the Discovery Trail, the Padden Parkway Trail, the Columbia River Waterfront Trail, the Frenchmans Bar/Vancouver Lake Trial, the Lacamas Lake and Round Lake Trail System, the Battleground Lake Trail system and the Washougal Waterfront Trail. Global Running Day is this Wednesday June 6th, a day designated for runners to reaffirm their passion for running and also a good day for beginners to begin a life-changing commitment to running. 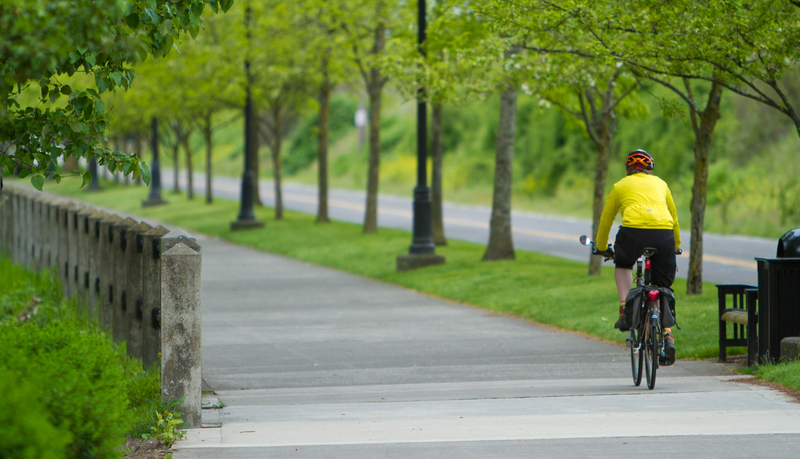 With the weather so nice lately, you’ll notice a lot of people out running on the Waterfront, Salmon Creek, Padden Parkway and Discovery Trails so Vancouver definitely has the running bug! If you’ve followed along with this running program series, you’ve learned about proper running progression, correct running technique, important strengthening exercises for your core, hips, and feet as a runner, key stretches and muscle release techniques and more.